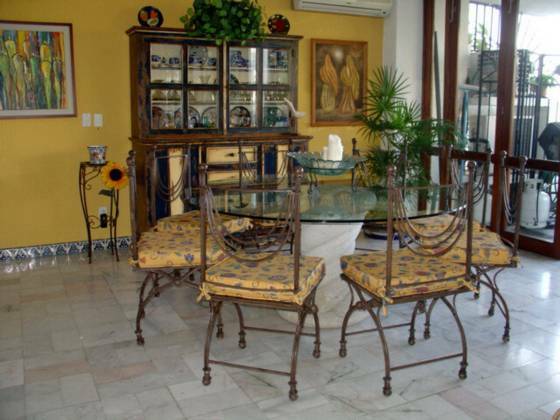 Beautiful fully furnished condo located in a quiet Cull-the-Sac of the exclusive area of Conchas Chinas, Puerto Vallarta. This home consists of 2 levels, providing the owners spectacular views of the bay and jungle from every single room. 3 Master Suites with full Baths, Gourmet Kitchen, Living, Dining area and extra Den or Office. Private heated dipping pool and laundry room. Assigned Parking and large common area with Palapa bar and swimming pool. Excellent investment opportunity and perfect for a private residence or income producing property.